Patients younger than age 60 with Gleason 8-10 disease who had upfront surgery versus radiation therapy had a 63% lower risk of prostate cancer-specific mortality. A study suggests HIMRT may have some advantages over CIMRT for treating men with localized prostate cancer. New multidisciplinary guideline for early-stage prostate cancer developed by 3 professional societies. The 3-year survival rate was 81% for patients who underwent EBRT plus standard care vs 73% for those who had standard care alone. Trials show high survival rates, freedom from recurrence for low-, intermediate-risk prostate cancer. Benefit of palliative radiation for bone metastasis across age groups; older age should not preclude tx. Researchers observed reductions in biochemical failure and distant metastasis rates in patients who had dose-escalated radiation therapy. 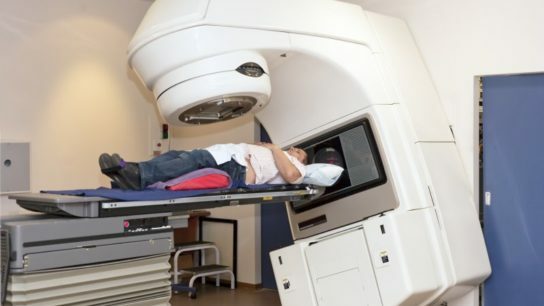 In a study, extremely dose-escalated radiotherapy combined with androgen deprivation therapy offered the best cancer-specific survival among men with Gleason 9-10 prostate cancer.